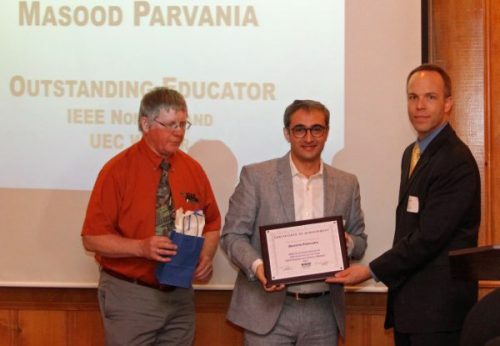 Dr. Parvania receives the 2017 IEEE Utah Section Outstanding Educator Award. The award was given during the Awards banquet held on May 19, 2018. The Outstanding Educator Award is given annually to a IEEE member who have inspired an appreciation and understanding of Mathematics, Science and Technology and the engineering process in students, and who have encouraged students to pursue technical careers.